The event will include a special meal or appetizers prepared for those in attendance, introduction of the new chef, as well as a slideshow with some educational components about the services of both SNU Dining and Disability Services. Tabitha explained that the special dietary needs of students become important to disability services because of federal law which requires that students not miss the opportunity to receive an education because of special needs they may have. Health is a huge hindrance for a lot of students to receive higher education simply because they don’t know if their accommodations will be able to be met by an institution. Logan Luker, a junior pre-physical therapy major, is allergic to chicken, turkey, eggs, wheat, soy, corn, peanuts, sesame and walnuts. He discovered his allergies of chicken and turkey when he was four and got tested for his other allergies his senior year of high school. Before Logan even stepped foot on campus, he and his mom spoke with head chef, who ended up leaving mid semester that fall, which left him with some anxiety on what his options would be following that. After being in communication with Tabitha last year, things started to noticeably improve. Andrew Cox is the General Manager of Operations for Food Service whose area of overseeing includes the SNU Dining area, 405, catering, some of the coffee shop and client relations. Mike Clark, who is the new Executive Chef at SNU dining, assists Andrew in all of these areas by managing the products being put out. Andrew explained that most students are typically coming from an environment where the parents have eliminated all the harmful allergens, making their job a little trickier because of the lack of education on the students’ end. Cross contamination is one of the scarier and most prevalent hazards of food allergies and is nearly impossible to fully protect people from. 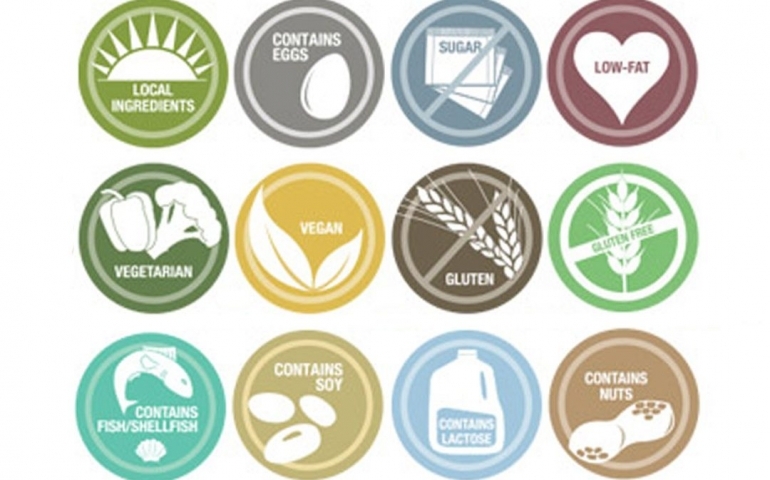 Collectively, the awareness of allergens in general have been brought to the forefront. “As chefs and operators we aware of the allergens out there, as far as accommodations go. We want to do all we can within reason,” says Mike. There’s also been a consistent effort to provide healthier options. Some of the changes include eliminating the trans fat in food items and cooking with natural oils such as olive oil and canola oil. This is an educational opportunity for the university, students and food services to understand one another, learn about the changes already being implemented, form ideologies for the future and also lay out the limitations. Changes are being made to not only offer healthier diet option, but to also provide instructional material on how to eat properly. I will admit it is hard to see the changes when we eat there every day, but we all need to remind ourselves that Rome was not built in one day.